I couldn’t have picked a better day to visit the farm. The crisp and cool morning gave way to sunny skies and unseasonably warm weather, which the buffalo seemed to enjoy just as much as I did. My day began with a beautiful drive up Route 295, accompanied by my wife (and photographer for this journey), to Flemington, New Jersey; home of Readington River Buffalo Farm. Flemington rests within Hunterdon County and was home to the Lenni Lenape Native Americans until it was acquired by William Penn and Daniel Coxe in 1712. By 1980, more than half of Flemington had been included on the New Jersey Register of Historic Places and many of these sites also reside on the National Register of Historic Places. Flemington is not only rich in history but it also has strong ties to agriculture, which are still present today. The rolling hills of historic Flemington are dotted with farms and, until recently, was home to The Flemington Fair and 4-H exhibits since 1848. The American Bison is the heaviest land mammal in North America. The bison is native to North America and once roamed the grasslands of the continent from Northwest Canada to Central Mexico in massive herds exceeding 60 million bison. In the 19th century, the American Bison became nearly extinct by a combination of commercial hunting and slaughter along with the introduction of bovine diseases from domestic cattle. Unlike cattle, bison were never domesticated by Native Americans. It wasn’t until prior to the 20th century, in Europe, when attempts to domesticate bison were proven to be unsuccessful due to their uncooperative and unpredictable nature. This 8 year old male bison weighs 1 ton (2,000 lbs.) and is the oldest male on the farm. 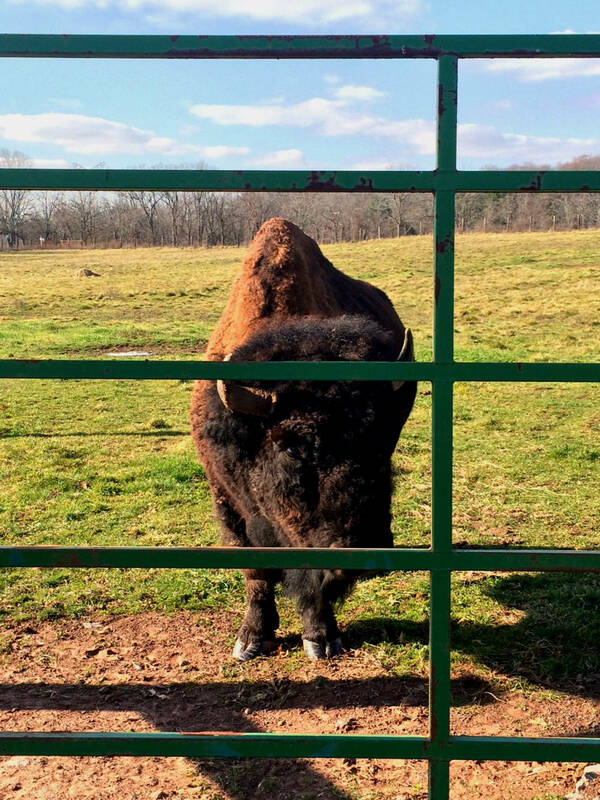 Readington River Buffalo Farm sits on over 200 acres and is made up of close to 100 American Bison. On the morning of my arrival, I was given a taste of how unpredictable these creatures really are. The plan for the day was to re-join a large portion of the herd back together with the youngsters for the winter. When we arrived at the farm, the plan for the day changed when Erick Doyle, co-owner of the farm, couldn’t locate the herd we were to be moving that day. Erick assured me the buffalo were safe in their enclosure, which took the better part of a year to install using old telephone poles and heavy gauged wire. Bison can jump close to 6 feet vertically and can run 35-40 mph, which is the reason for having such a secure fencing system not typically seen on a cattle farm. 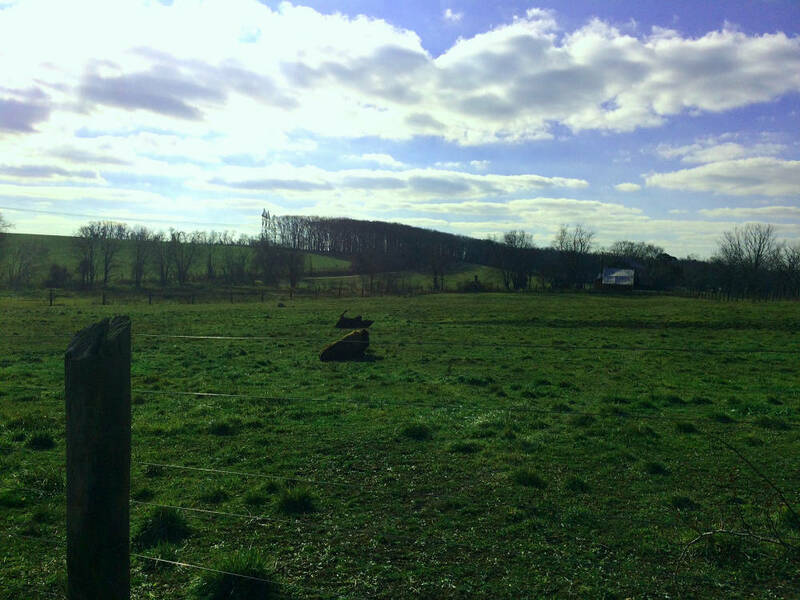 As we toured the farm, I got a chance to ask Erick the most important question on my mind… Why Bison?? 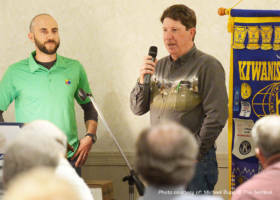 Erick went on to explain how his family owned a cattle farm located in Bedminster and prior to his parents’ retirement, they dreamed of owning land that could sustain a bison herd. The land the farm sits on was originally used as a dairy and chicken operation until 1994 when then owners, Walter and Anna Dobozynski, enrolled the land into the Farmland Preservation Program. When the Dobozynski family decided to retire, the Dolyes purchased the land at auction and began living their dream of operating a bison farm. Not too long into their journey they realized they would need some assistance with the herd; they encouraged their son Erick to leave his new home in Colorado and move back to NJ to help on the farm. Ear tags help identify bison at further distances. 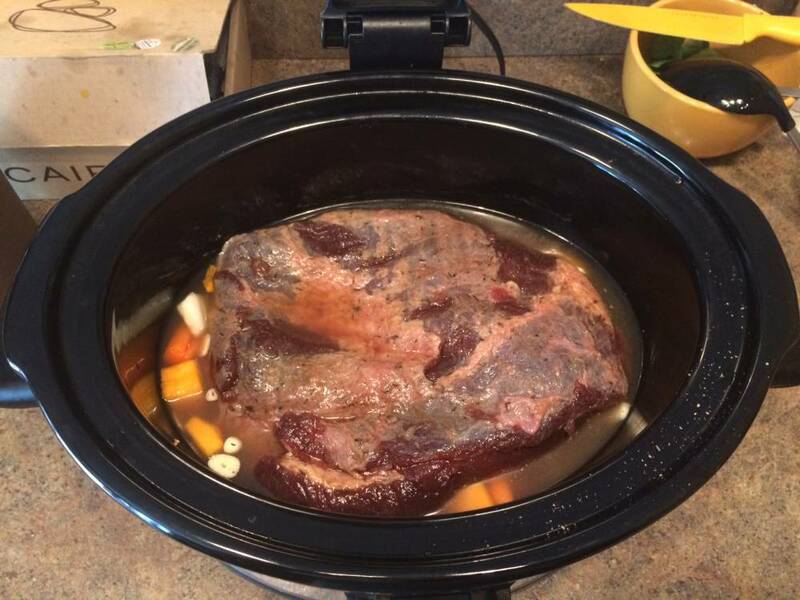 Bison meat is steadily gaining popularity in the United States due to the sustainability of the farming operation along with the added health benefits of choosing bison meat over beef. 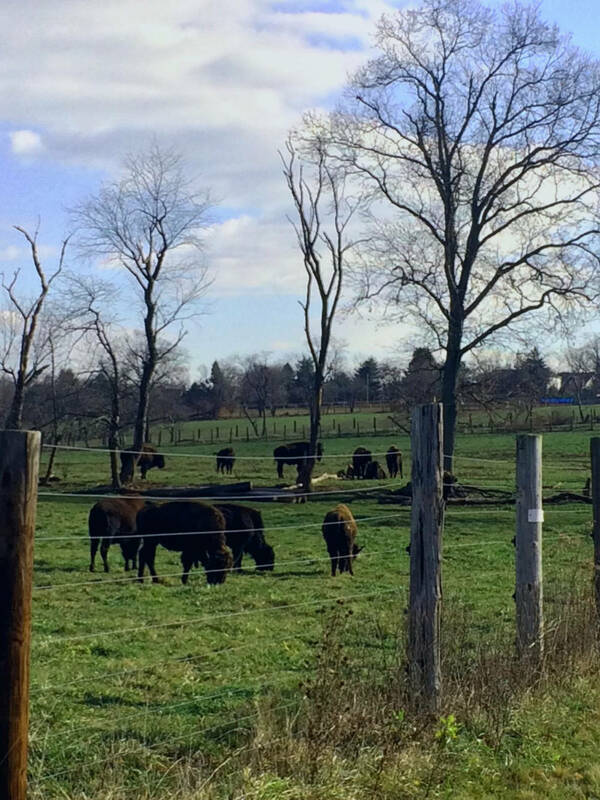 The bison of Readington River are free to roam and graze on native grasses and aren’t prone to overgrazing, which cattle are known for. This promotes a functional ecosystem by fertilizing the ground with manure and urine while mixing seeds deep into the soil with their hooves as they roam. Bison are also federally prohibited from receiving artificial growth hormones and require very little antibiotics to maintain their health. Health conscience consumers are drawn to bison meat for the lower fat content, less saturated fat, more unsaturated fat, fewer Omega-6s and more Omega-3s. Not to mention bison meat has more iron, protein, amino acids, and Vitamin B with fewer calories and less cholesterol than beef. 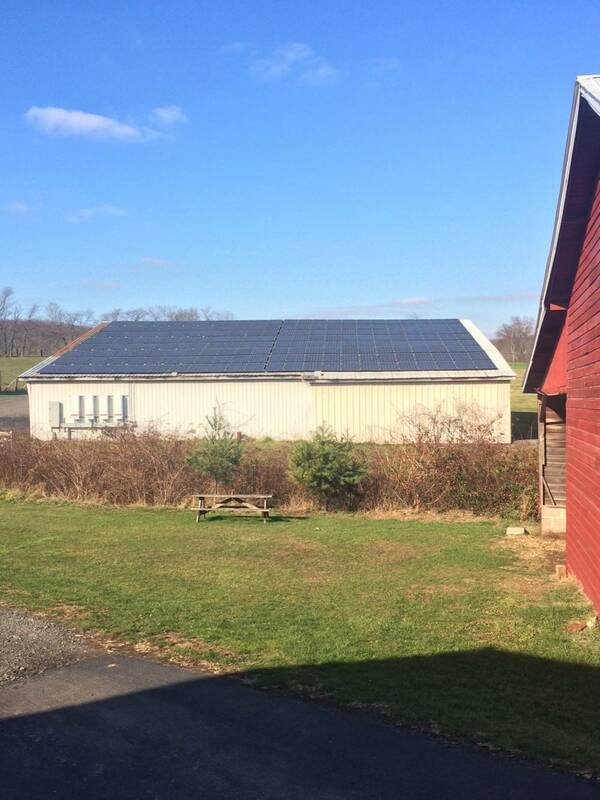 Erick was also very proud to show off their roof-top solar panels, which he explained turns the farm into a net producer of energy. 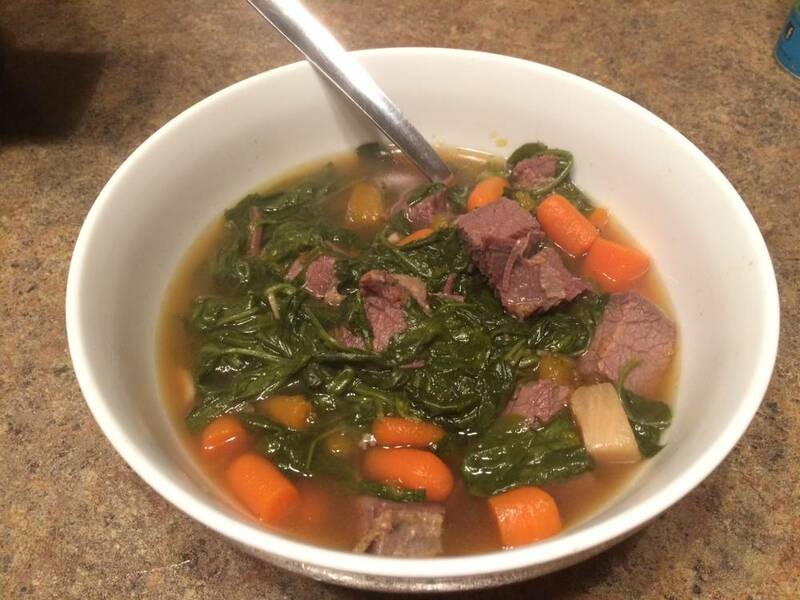 The Doyle family is always looking for ways to improve the farm while promoting the health benefits of bison meat. The farm hosts events throughout the summer, with the Buffalo Watch, which supports the Whitehouse Rescue Squad in May, being a local favorite. In conclusion, I realize the bison has the chips (one could say “buffalo chips”) stacked against them since the U.S. has streamlined the beef industry with factory farms, corn feeding, and a plethora of steroids and antibiotics to ensure farmers get the most meat out of each head of cattle. While grass-fed bison meat is more expensive than traditional beef, what you are paying for is a more healthy meat option for yourself and the environment. 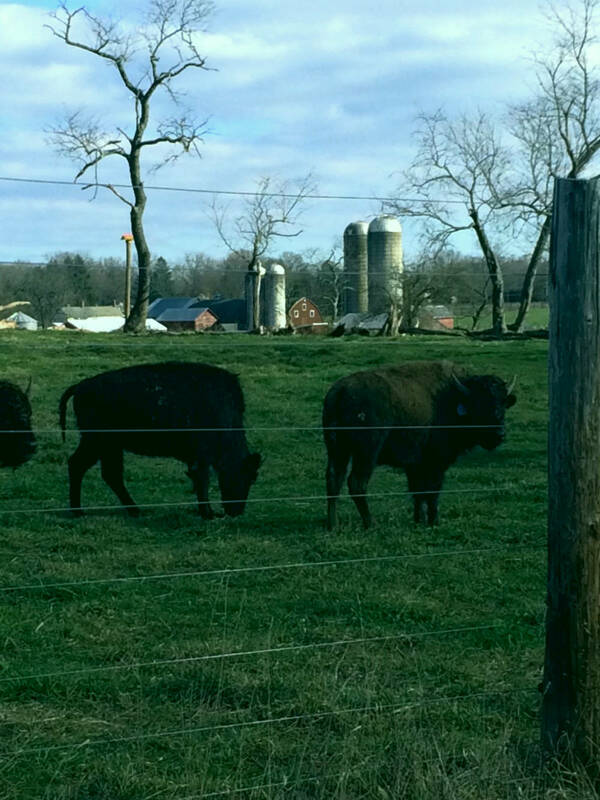 I highly recommend a trip to Readington River Buffalo Farm to see for yourself how meat should be raised; with care and attention to the animal and the environment. 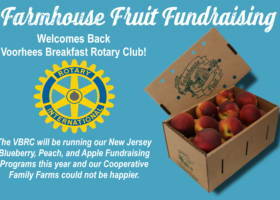 If you do stop by, tell them Farmhouse Fruit sent you! Try to not drool on your keyboard. 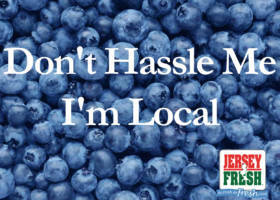 Stay connected to Readington River Buffalo Farm using their Facebook page.